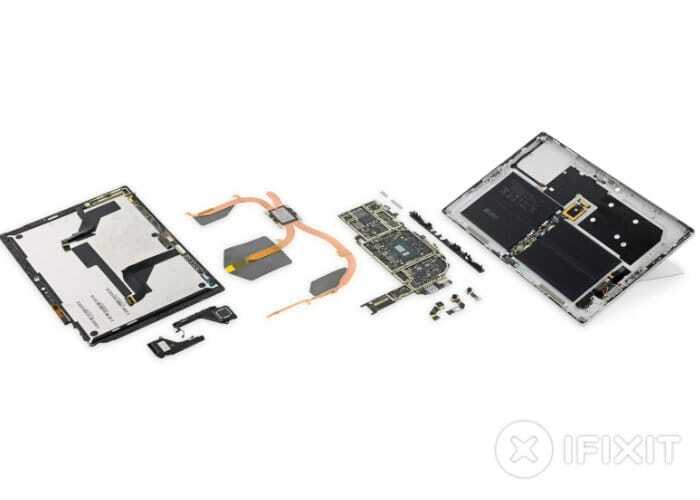 If you are interested in learning more about the construction of the new Microsoft Surface Pro 6 you will be pleased to know that the team at iFixit have wasted no time taking their toolkit to the new tablet providing a full rundown of its internal workings. 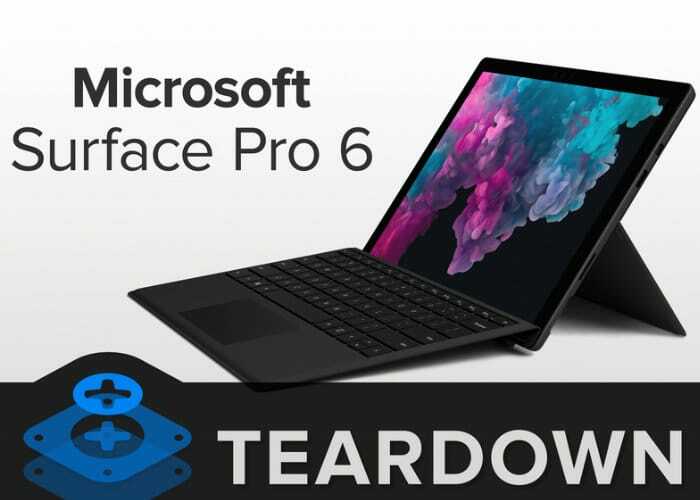 To recap the Microsoft Surface Pro 6 teardown is equipped with a 12.3″ PixelSense display offering users a resolution of 2736 × 1824 pixels and is powered by an 8th-Gen (Kaby Lake R) quad-core Intel Core i5 processor with Intel UHD Graphics 620 supported by 8 or 16 GB of RAM depending on your requirements and budget. Storage is provided by a solid state drive (SSD) available in 256 GB, 512 GB or 1 TB capacities. Microsoft has also included 5 megapixel front facing camera for video calling, together with a 8 megapixel rear facing for video and photographs. Connections on the device take the form of USB 3.0, microSDXC, Mini DisplayPort, SurfaceConnect, and 3.5 mm audio ports an wireless connectivity is provided by support for 802.11a/b/g/n/ac Wi-Fi, Bluetooth 4.1. – All repairs require first removing the display assembly—which is stubbornly glued in place, expensive, and prone to shattering. – The battery is firmly glued in place, with its connector pinned under the motherboard—requiring near-total disassembly for service. – Once upon a time, Surface Pro storage was removable—but not in this version. – Complex construction makes all disassembly and reassembly tedious in comparison to other tablets.